Facial numbness causes discomforts in daily life and can at times be a symptom of a medical condition. This numbness is normally accompanied by a tingling sensation and can be permanent in some cases. Facial numbness can be caused by an underlying serious condition, but it is not always the case. Your face can be numb when you sleep in an uncomfortable position or if it is cold. In such cases, the numbness will disappear after a few minutes. However, if the facial numbness is accompanied by other symptoms or persists, seek medical help. Sleeping position can pressurize the nerves of the face and can lead to facial numbness. Similarly, when the head is held at a certain angle for a long time when riding in a car, using a computer or reading, it can put pressure on these nerves. Numbness caused by such pressure are short-lived and as sensation returns, it will be accompanied by a feeling of needles-and-pins pricks. If the body does not get enough and balanced nutrition, it lacks the essential elements to function normally. Lack of Vitamin B12 can also result in facial numbness. Facial numbness can also be caused by lack of sodium, calcium and potassium. This condition can be treated with vitamin and other mineral supplements. Occasionally, facial numbness can be caused by the side effects of drugs. This side effect inhibit neurotransmitters inside the brain. Although this is a rare case, suppressed neurotransmitters still come with the risk of numbing the entire body or some parts of your body, which includes the face. Medications that are used to treat seizure disorders like epilepsy can also make your left or right side of face numb. Once the underlying cause is treated, the numbness goes away. Should the symptoms persist, various medical tests can be conducted by your doctor, for example, blood work and x-rays. A migraine with aura is considered to be a neurological phenomenon. This type of migraine can also cause visual hallucinations, speech abnormalities and temporary blindness. 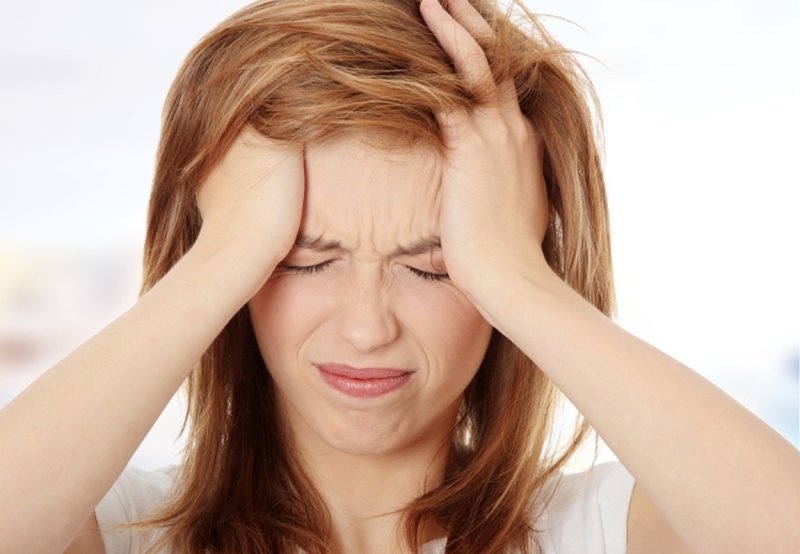 This type of migraine displays symptoms about 10 to 30 minutes prior to a actual headache. One of the symptoms is facial numbness which can also affect your tongue or even extremities. This is temporary paralysis of the face that is caused by trauma or damage to facial nerves. Although the cause of this condition remains unknown, scientists believe that bell’s palsy might be caused by viral infections such as herpes or meningitis. Such infections lead to the inflammation of facial nerves thereby causing numbness. This autoimmune disease occurs when the body’s immune system starts to attack and even destroy myelin sheaths that cover the nerves, resulting in serious nerve damage. It is a common cause of numbness of the face, which can also lead to numbness in cheek and even in extremities. Nerves are responsible for telling the brain which types of sensations it should feel and where it should happen. When the nerves have been damaged, they can't generate any sensation or pain. Nerve damage has many causes. For example, a blow to the neck or head can cause trauma, resulting in the damage of facial nerves. This damage can be severe enough to lose all facial feeling. Besides, numbness in the face can also be caused by some conditions such as neuropathy and diabetes. Also known as neuropathic facial pain, this disorder affects your trigeminal nerve. A swollen blood vessel or tumor can exert pressure to this nerve thus causing pain and numbness in the face. The pain can be felt around the ears, nose, eyes and lips. While the precise trigger for this condition remains unknown, multiple sclerosis is a probable cause. This refers to a non-cancerous tumor that is also referred to vestibular schwannoma and neurilemmoma. This tumor grows on the 8th cranial nerve. This nerve can at times add pressure on nerves that help to control movement and sensation of the face, thus causing numbness. Spine, neck, head or face injury can cause nerve damage. This may cause loss of facial sensation. Nerve damage or neuropathy may also occur as a result of an underlying disorder or disease like diabetes. If you start feeling weakness in the legs or arms and facial numbness on one part of the body, it could signify an imminent stroke. Also known as herpes zoster, this infection is caused by the varicella zoster virus. It appears as a rash on face and other parts of the body. It is also accompanied by some muscle pain. Antiviral drugs, prescribed by a physician, are used to treat shingles. During a stroke, the brain is deprived of blood and oxygen, causing the correspondent body parts controlled by the affected brain sections to be numb. If facial nerves are deprived of oxygen, it may result in partial or full facial paralysis. Tumors growing from a nerve sheath can cause facial numbness. The numbness progresses with time and calls for medical attention. This may even come accompanied by loss of sensation in the face and hearing loss. In metastatic cancer like breast cancer, numbness in the chin may be experienced. Depression, stress, hyperventilation syndrome or a panic attack can also cause facial numbness. Such symptoms can be alleviated by meditation and relaxation exercises. Although facial numbness is not a severe conditions, it can never be ignored. You should seek professional advice, if you have any of the following symptoms. When facial numbness does not have an obvious cause (like sitting on a foot for too long or whacking the funny bone). The numbness commences gradually and over time, becomes worse. The numbness is associated with a specific task like repetitive motions or it comes and goes. You feel pain in your fingers, arm or neck. The tingling or numbness consistently worsens when walking.